Hey, Funkers! Our co-host William Shunn will be appearing tonight with Roosevelt University's Gary K. Wolfe on "Extension 720 with Milt Rosenberg" on WGN Radio 720 AM. They'll be talking about science fictionparticularly today's release of the Library of America's new collection, American Science Fiction: Nine Classic Novels of the 1950s, which Mr. Wolfe edited. 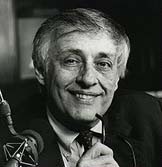 Milt Rosenberg's show has run since 1973, during which time he's talked with an intimidating array of world leaders, prominent academics, and entertainment figures. Tonight's program airs live from 10 p.m. to midnight. You can also listen online, or a podcast of the discussion will be available in a few days. We hope you'll tune in! If you liked that, be sure to read the full story at Futurismic. 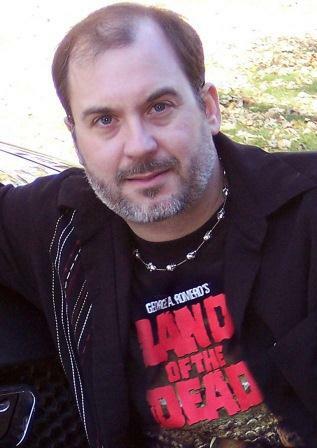 And you won't want to miss our next event, Tuesday Funk's United States of Horror, which will take place Tuesday, October 2, 2012, and will include readings from John Everson, Cynthia (cina) Pelayo, and The Colin & Ishmael Players. Be there! If you liked that, be sure to listen to the full story (as read by David O. Engelstad) on the PodCastle podcast. 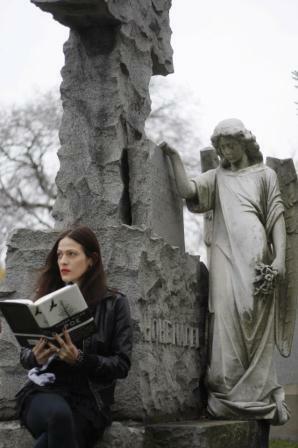 And you won't want to miss our next event, Tuesday Funk's United States of Horror, which will take place Tuesday, October 2, 2012, and will include readings from John Everson, Cynthia (cina) Pelayo, and The Colin & Ishmael Players. Join us! If you liked that, please check out Rae's new novel, The Crown of Embers, which is out today! 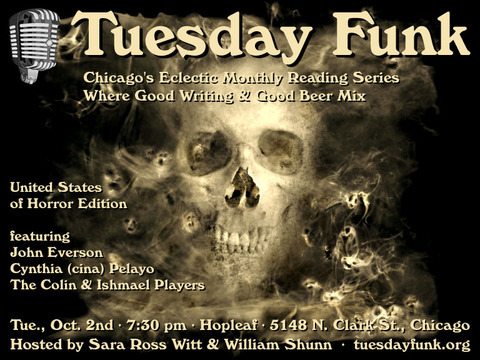 And you really won't want to miss our next event, Tuesday Funk's United States of Horror, which will take place Tuesday, October 2, 2012, and will include readings from John Everson, Cynthia (cina) Pelayo, and The Colin & Ishmael Players. One of us! One of us...! 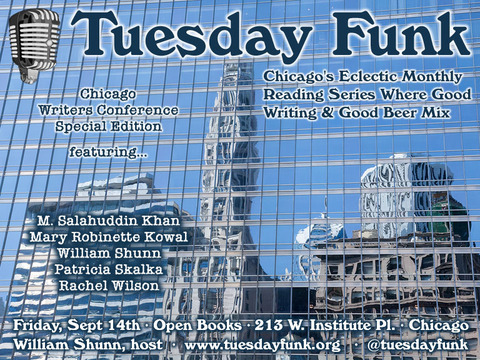 Tuesday Funk, in association with the wildly successful new Chicago Writers Conference, put on a terrific reading event this past Friday night at Open Books in Chicago's River North. If you've come to expect the unexpected from Tuesday Funk, then you probably weren't surprised about being surprised about some of the surprises that were sprung upon that evening. After some introductory remarks about the great work that Open Books does and about our sponsorship partner the Chicago Writers Association, Patricia Skalka kicked things off for us with a noirish, engrossing scene from her Wisconsin-set mystery novel, Death in Door County. 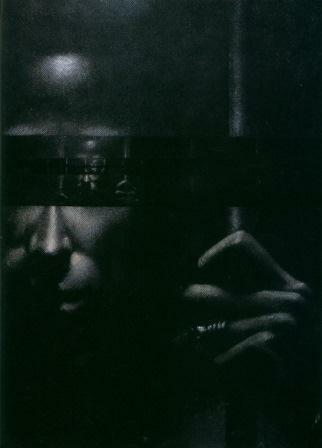 Host William Shunn followed that up with the stream-of-consciousness narrative of an old woman awakening in a new robotic body, "Find the Gray Triangle." And Rachel Wilson brought us a poignant chapter from her forthcoming debut young adult novel, Don't Touch. Our Poem by Bill, "Telegraph," was composed on a topic provided by CWC backer Tina Woelke"reading." M. Salahuddin Khan followed that up with a powerful excerpt from his novel Sikander, about a young Afghani mujahid who must live with the reality of his first killing. And Mary Robinette Kowal, after an emotional epistolary story about resurrection from the dead, startled and delighted our audience with a shadow puppet play from the 17th century. People, this is the sort of thing you miss when you miss Tuesday Funk! But don't despair. We'll be bringing you videos from the evening over the next couple of weeks, and then we'll be back on October 2nd with our United States of Horror Edition featuring John Everson, Cynthia (cina) Pelayo, and The Colin & Ishmael Players. Be sure to join us! Reminder: Tuesday Funk #49 is tonight! Good morning, Chicago! Tuesday Funk could not be more pleased to be bringing you, in association with the Chicago Writers Conference and Open Books, our first special Friday reading event! This remarkable evening, featuring attendees of the Chicago Writers Conference, will include Patricia Skalka, William Shunn, Rachel Wilson, M. Salahuddin Khan, and Mary Robinette Kowal, plus a Conference-specific edition of our patented Poem by Bill. This special event takes place at 7:30 p.m. at Open Books, 213 W. Institute Pl. in Chicago's River North neighborhood (convenient to the Brown Line stop at Chicago Ave.). Doors open at 7:00 p.m. The Samich Box food truck will be available outside Open Books from 6:30 on, and you may bring your own beer and wine to the reading. Remember, the event itself is FREE, but you MUST have a ticket in order to attend. Click here to register and print your ticket, and we'll see you tonight!